BEIJING — Negotiation, rather than flexing military muscle, is the best way to resolve disputes between key global powers. A joint navy drill by the US and the Republic of Korea (ROK) in the Yellow Sea has aggravated concern among East Asian nations, especially China, over regional peace and stability. The participation of the 97,000-ton US aircraft carrier George Washington in the exercise has attracted widespread media coverage and its involvement is a move that is hostile to China. The spate of recent activity by US aircraft carriers is fresh reminder of a series of unfriendly moves by its navy in the waters of the Yellow Sea since the 1990s. In 1994, a fleet led by the US Kitty Hawk intruded into the waters along China’s maritime boundary line on a so-called cruise mission. The US formation of naval warships trespassed into China’s territorial waters and went even farther to closely trail a Chinese nuclear submarine, which had just finished a long-distance cruise mission. This ill-advised move plunged the two countries into confrontation mode for a time. Recently, the US’ “Victorious” surveillance vessel conducted an unauthorized mission in China’s exclusive economic zone and even used water cannons to expel two Chinese fishing boats in the vicinity. The current US-ROK drill, which was repeatedly put off since June, is by no means a purely military move aimed at the Democratic People’s Republic of Korea (DPRK) for its alleged torpedoing of the ROK naval vessel Cheonan. In fact, many of its naval fleets, including the George Washington-led Seventh Fleet, are deployed in Japan’s Yokosuka port. 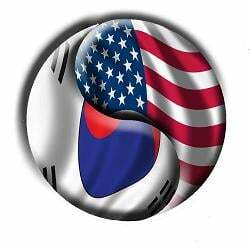 The Cheonan incident, however, has provided a rare opportunity and excuse for the US naval force stationed in the ROK and Japan to actively intervene in regional matters. A joint drill with the ROK in the key waters off its Asian military bases will help the US realize multiple strategic goals in the Asia-Pacific region. First, the drill will help the US maintain high-pressure against what it calls a restive DPRK regime. It is also believed to be an explicit indication of the US stance that the world’s sole superpower would stand firmly behind the ROK and Japan in case of a military conflict between Pyongyang and Washington’s two traditional Asian allies. In addition, a well-deliberated military exercise in the Yellow Sea will also help the US collect geographic and military information about some Asian countries bordering the vast waters. General Ma Xiaotian, deputy chief of general staff of the People’s Liberation Army, has expressed “firm opposition” to the scheduled US-ROK military maneuver. Ma’s unequivocal position reflects the country’s determination and unwavering will to safeguard its maritime rights and interests. It is also an indication of China’s increasing confidence in its military in the context of its growing national strength and military build-up. The Yellow Sea is pivotal to China’s core interests given that it is related not only to the extension of the country’s maritime rights and interests but also with its maritime security. If the US and ROK continue to act willfully by holding the controversial military drill, it would pose a challenge to China’s safety and would inevitably provoke a huge backlash from Chinese citizens. Today’s China is no longer the China of a century ago that had no choice but to bend to imperialist aggression. After decades of development, especially since the adoption of the reform and opening-up policies, China has become the world’s third largest economy and possesses a modern military capable of any self-defense missions. Nevertheless, the US military force, especially the fighting ability of its aircraft carriers formations, has also become far stronger than what it was a century ago. The radius of the US military operation has expanded to more than 1,000 kilometers, which means a US military mission in the waters off the ROK can still constitute a huge deterrence to China and other countries along the nearby coastline and strike at strategic targets deep inside their territories. With an unchallenged armed force, the US has never relented in its efforts towards long-planned strategic adjustment in the Asia-Pacific region. Under this strategy, the US has gradually increased the presence and activity of its warships and airplanes in China’s surrounding maritime area. More worrisome, the US has seemingly become less restrained in its move to push forward an Asian version of the North Atlantic Treaty Organization with its allies in the region. In so doing, Washington has harbored the obvious strategic intention of containing China – whose economic and strategic influence has kept increasing in the international arena – in a bid to preempt possible troubles that the fast-growing nation may cause to the US. In the 21st century, all countries should focus efforts on negotiations, rather than the use of force or show of military muscle, to resolve disputes. The author is a researcher with the Chinese navy’s military academy.